2018-19 Printable School Calendar - UPDATED! We engage, empower, and collaborate to educate and prepare every Bearcat for college, career, and life as a global citizen. Full Day: 8:50 a.m. - 3:50 p.m.
Full Day: 7:30 a.m. - 2:40 p.m.
Full Day: 7:40 a.m. - 2:50 p.m.
Half Day: 7:40 a.m. - 10:40 a.m.
Half Day: 7:30 a.m. - 10:45 a.m.
Full Day: 9:00 a.m - 3:00 p.m.
Half Day: 9:00 a.m. - 11:46 a.m.
Night School Program: 4:00 p.m. - 8:00 p.m. Morning: 7:45 a.m. - 10:45 a.m. Afternoon: 11:35 a.m. - 2:40 p.m. Morning: 7:45 a.m. - 10:30 a.m. Afternoon: 11:50 a.m. - 2:35 p.m.
12:00 p.m. - 3:15 p.m.
To begin the enrollment process or for more information, visit the BCPS Enrollment page. Applications are NOW OPEN through April 5, 2019 and spaces are limited. To apply, click below or learn more at Fremont's page or BC STEM's page. A world-class system providing a quality education that prepares all students to be productive and responsible citizens. Battle Creek Public Schools will ensure a quality education for all students through quality teaching and support from all staff. Battle Creek Public Schools is an urban school district located in Calhoun County, Michigan. It serves a major portion of the City of Battle Creek, portions of Emmett Township, Pennfield Township, Bedford Township, and the City of Springfield. The district includes one high school, two middle schools, six elementary schools, including a STEM (Science, Technology, Engineering, and Mathematics) school, and a new Alternative High School housed at the W.K. Kellogg Middle School. There are four sites in the district for Early Childhood Education, the Battle Creek Area Math and Science Center, and an adult education program. The district also has one of the nation's few remaining Outdoor Education Centers located on beautiful Clear Lake in Dowling, Michigan. 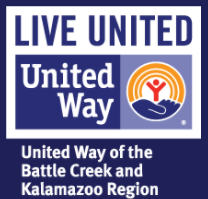 EDUStaff has partnered with Battle Creek Public Schools to recruit, train, and provide qualified substitute teachers and paraprofessionals for Battle Creek Public Schools and Calhoun ISD. The W.K. Kellogg Foundation announced a five-year, $51 million grant to Battle Creek Public Schools to help ensure that every child receives a quality education. Our goal is that every Battle Creek student graduates, and receives the preparation and support they need for college or a career. Whether your child is entering kindergarten or is a senior in high school, every single student at every grade level in BCPS will benefit from these resources. The grant will support opportunities in literacy, pre-K, new books and supplies, professional development for teachers, reduced class sizes, and investments in arts, music and athletics.